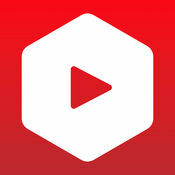 ProTube is the ultimate, fully featured YouTube app. With its highly polished design, ProTube offers ad-free video with selectable playback quality, audio-only playback, background playback and adjustable playback speed. You can even manage videos in playlists without signing in with a YouTube account! Video playback in any quality, from 144p up to 4k Ultra HD. Audio-only playback in high quality with low bandwidth usage. You can sign in with your YouTube account to view and manage your uploads, playlists and subscriptions. Step 1: Download the ProTube IPA file onto your computer.